David Stringer-Lamarre, MD of FortisCL, within his role as Chairman of the Institute of Directors (IoD), London Region, was pleased to attend and speak at this flagship IoD City of London event. The welcome address was delivered by Alderman Alastair King, Chairman IoD City of London, which included information about the Year of the Pig. 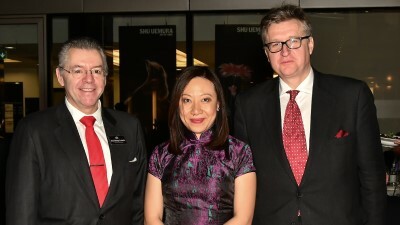 Following the Lion Dance & Chinese Music, Mei Sim Lai OBE DL, Chairman of IoD City of London China Group, spoke about the work of the China Group. David Stringer-Lamarre, congratulated IoD City on another successful event, and the energy of its Chairman and Committee.